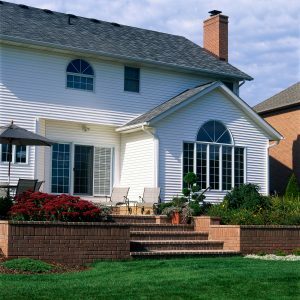 The skilled professionals at Wisconsin Weatherall install beautiful and long-lasting replacement windows for homeowners throughout southeastern Wisconsin. Based in Waukesha, WI, we proudly offer vinyl windows from industry-leading manufacturer ProVia®. These premium windows are durable and boast fantastic energy-saving features, such as triple weatherstripping and high-performance insulated glass. In fact, these windows are ENERGY STAR® Certified and engineered to reduce heat transfer, which can lessen the workload of your home’s HVAC unit and, in turn, potentially save you money on your monthly energy costs. Beyond energy efficiency, ProVia® home windows are also low maintenance and easy to clean, as you can simply unlock and tilt the lower sash when the time comes to wipe the windows down. Furthermore, these vinyl windows come in a wide array of popular styles and architectural shapes to meet virtually any stylistic preference, and they are backed by a lifetime manufacturer warranty for peace of mind. 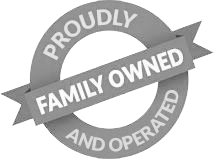 Here at Wisconsin Weatherall, we understand that homeowners have different style, tastes, needs, and budgets. Because of this, we offer more than one type of home window. In addition to the top-quality vinyl windows mentioned above, we offer ProVia® windows that come with a stunning wood interior and vinyl exterior. These windows allow you to enjoy the gorgeous appearance of wood with all of the same energy-saving features and benefits afforded by vinyl windows. We also offer Ply Gem vinyl windows that are available in an impressive selection of beautiful styles and colors. Good home windows can’t provide maximum performance benefits without being installed properly, which is why it’s imperative that you entrust a knowledgeable window contractor for all workmanship. In addition to offering some of the best windows on the market, we provide expert window installation services. Our skilled installers – who are employees, not subcontractors – will make certain your new home upgrades are installed properly and in a timely manner. For more information about the replacement windows we offer to homeowners Waukesha, WI, and communities throughout southeastern Wisconsin, contact Wisconsin Weatherall today.